There’s a lot of guff about how Sanchez did and didn’t move for the money – my view: so what if he did; it’s a job and his duty to get the best pay he can to perform it. Not every athlete can be like Tim Duncan, the San Antonio Spurs star who twice helped his club by accepting contracts for less than his market value. Most players listen to their agents. And if journalists and pundits want to look around football for mercenaries, they should lower their gaze toward the men in shiny tracksuits. 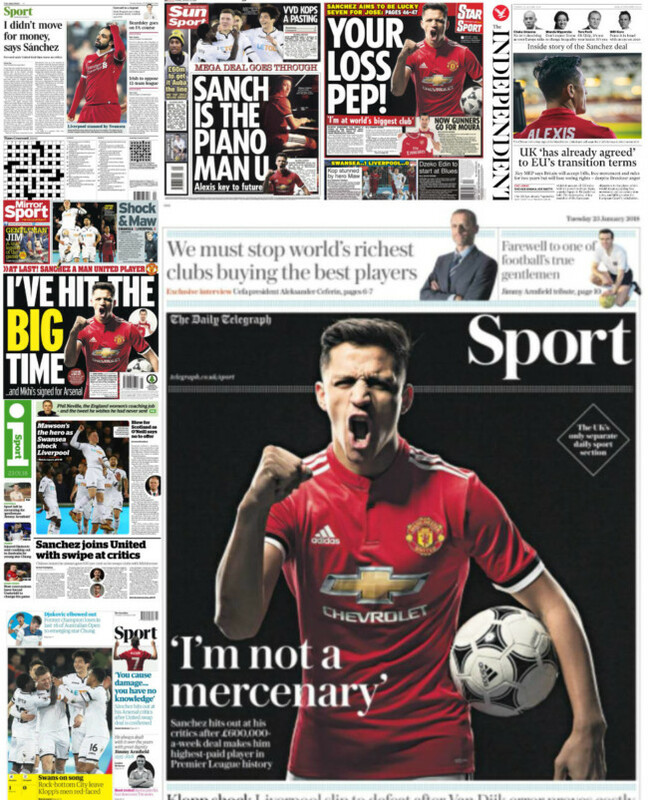 The other notable thing is that Sanchez is being marketed heavily from the off, with United posting a video of the Chilean playing a few bars of ‘Glory Glory’, a song I’d always associated with Tottenham Hotspur. The upshot is that both sides lose a player who were under performing and gain one who offers hope.